The International Airport of Frankfurt/Main (FRA) is the most convenient place for the entrance to Germany and Würzburg. 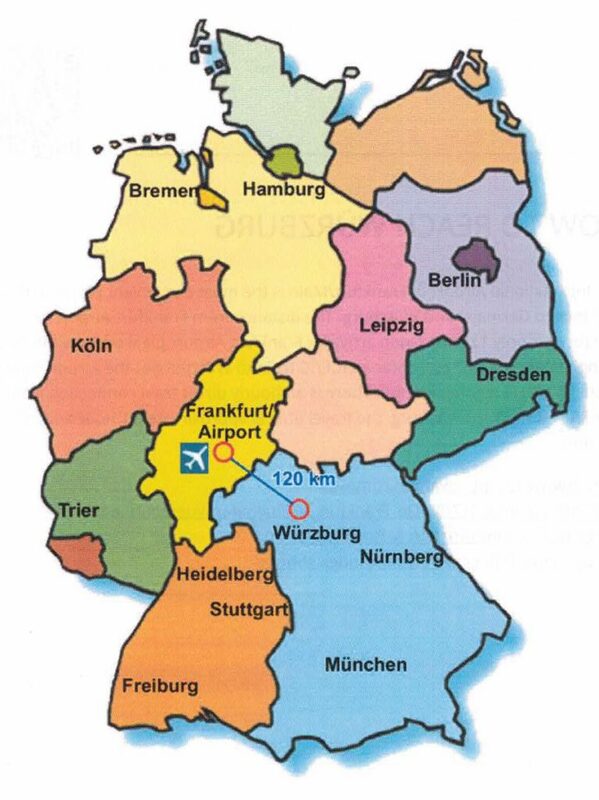 The distance from Frankfurt Airport to Würzburg is only 120 km. Upon arrival at Frankfurt Airport please follow the sign "Long distance train" and enter an ICE/IC train to Würzburg at the Airport Station (Frankfurt (M) Flughafen Fernbf). There is an hourly direct train connection from Frankfurt Airport to Würzburg; the travel time is approximately 1 hour and 20 minutes.